Since I’m spending a lot of time up by the hospital in north Carson, I was able to notice this today. 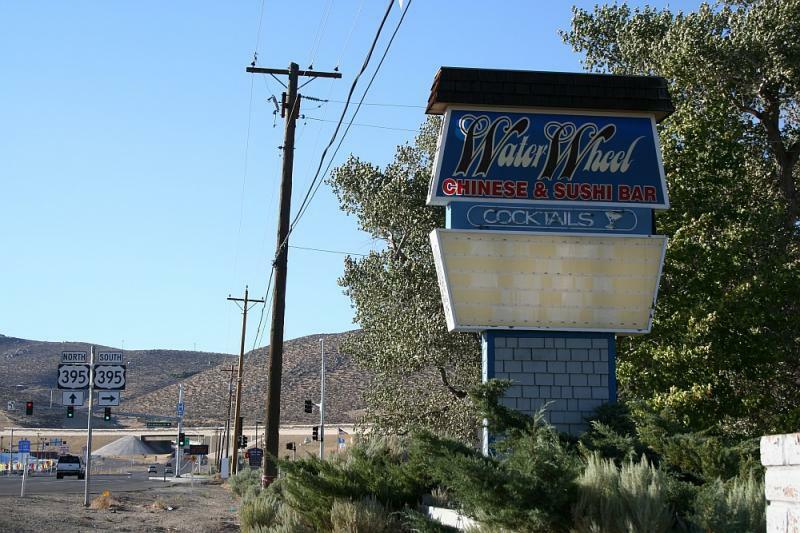 The closed Water Wheel restaurant along Hwy 395 (formerly Stanley’s) has been undergoing “Fire Department Training”. Now fire department training is exciting stuff, because it normally involves smashing windows and cutting holes in the ceiling as the trainees learn how to save people from a burning building and the different ways to attack a fire. And this does seem to be what they’re doing, as you can see from the picture. The building is all smashed in, with dozens of holes cut in the roof and even a few in the walls. What’s even more exciting is that the final step in this training usually involves lighting the place on fire and letting it burn to the ground as the firefighters practice putting out the flames. So that’s probably what’s in store for the Water Wheel. I’ll keep my eyes peeled over the next few days and see if I can catch them in the act. Once again, a part of my Carson City history is being destroyed although this is insignificant compared to say, the V&T Roundhouse, or our original house, a converted chicken coop, behind the St. Charles on Curry and across from Don’s Auto Junkyard – yes, there was a junkyard one block off Carson St. for quite a few years. 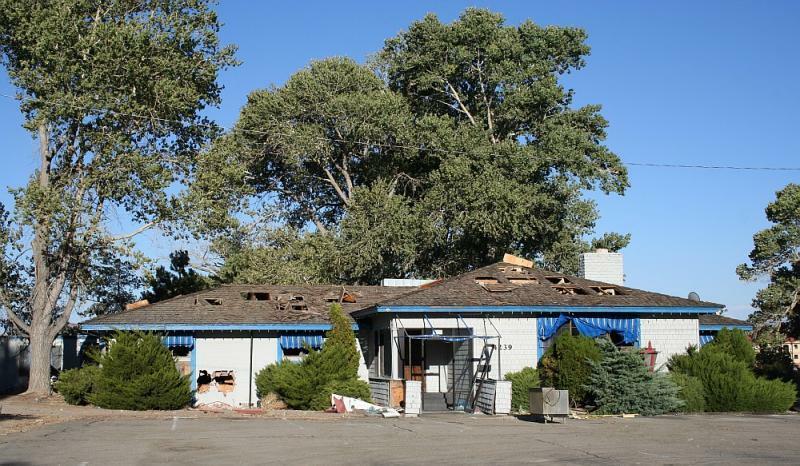 The rest of the block was an empty lot with two enormous Cottonwood trees, the biggest of which housed a three story tree house which my brother and his neighborhood gang of friends used for a clubhouse. At the bottom of that tree were two large squared off slabs of granite which were purported to have been left over from the construction of the Capitol. My parents rented the building housing the Wagon Wheel as a residence in 1967 and we lived there for a year and a half until the continually flooding basement became too much of a problem. There were only a few buildings out there at the time and development had only reached out to Hot Springs Road for the most part. I’m surprised to see it still in existence.